When you’re missing some or all of your teeth, there are several methods for replacing them. We will discuss your options and help you decide the best plan for your needs. 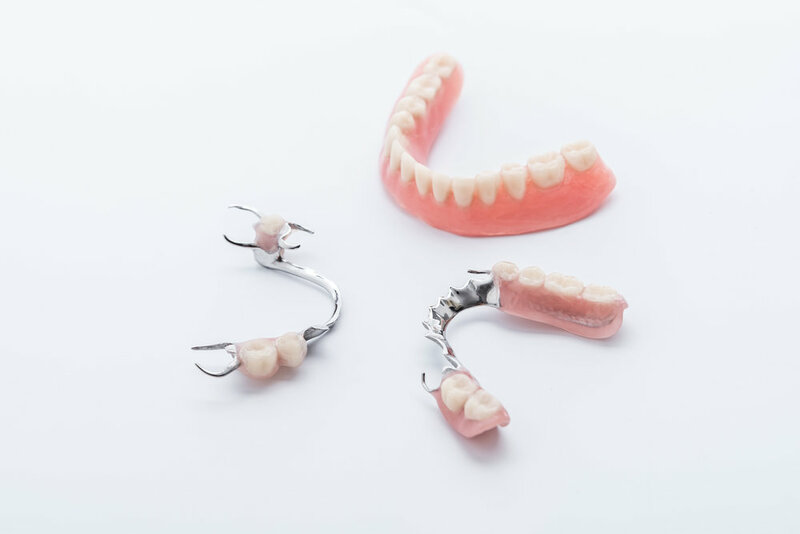 In the event you are missing all your natural teeth, a complete removable denture is often the recommended way to replace them. Replacing missing teeth benefits both your health and your appearance. It assists speaking and eating, improves your smile, and especially in the case of a complete denture, helps support your facial muscles for a more youthful appearance. Do I need follow-up appointments after I have my denture? When you're fitted with a new denture, there is an adjustment period when follow-up visits are especially important. During this time, we can make minor modifications until your denture fits just right. We also recommend returning periodically during the lifetime of your denture for check-ups and adjustments as needed to ensure it continues to fit properly. It is natural for the bone and tissue beneath the denture to change over time, so periodic adjustments will also help to protect the health of the underlying bone and tissue. Even though you no longer have natural teeth, you must still take good care of your mouth. Plaque will form on your denture and food can get trapped between the denture and your gum tissue. After each meal, remove your dentures and, using a soft toothbrush, brush your gums, tongue, and all sides of the denture. Dentures are fragile and can break if dropped. Consider cleaning your dentures over a sink filled with a few inches of water, or a folded towel laid over the counter top. Dentures may warp if dried out. When your denture is not in your mouth, be sure to store it in a denture bath filled with denture cleaner or water. Denture adhesive may be used to assist the retention of your denture, but should not be used with a poorly fitting denture. Poorly fitting dentures should be relined or replaced. Good denture care and regular appointments with us will ensure your tissue remains healthy and your denture fits properly... For a lifetime of good health!